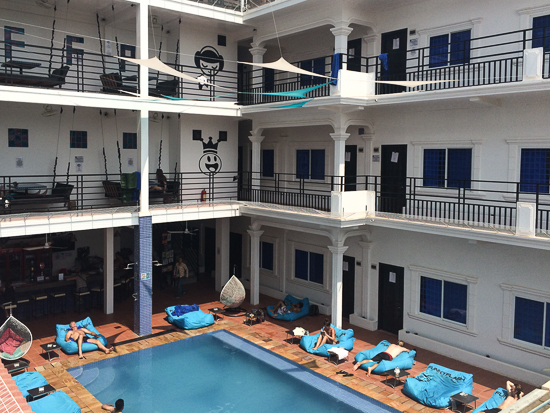 Funky Flashpacker has redefined hostelling in Siem Reap. The ultra-hip ‘hostel resort’ has got virtually everything covered with fully-wired, air-con dorms and rooms, pool, pool and rooftop bars, top-notch restaurant, airy day beds—and that’s before we get to all the add-ons. Average rating 8.4 from 360 reviews. But before you read on, you need to know that this is first and foremost a party hostel. This is a joint for meeting, greeting, sharing, dancing, drinking, eating, talking way too loud, and basically having a blast before sleeping it all off on the rooftop daybeds. If you’re looking for peace and relaxation, this is not the place for you—the 24-hour Sky Bar, after all, is open 24 hours. If you are into that though, Funky has it going on. The dorm bunks have wide, deep mattresses with their own sockets, lights and roomy lockers underneath. Each dorm has its own showers (rainfall) with hot and cold water. With white walls, sheets and furnishings, there’s almost a space-age feel to them, especially under the bright light of day. The rooms are equally well-equipped, simple, functional and ordered. There are no frills, but that’s not what you’re paying for here. Outside, each of the three different floors has a different vibe. The pool and pool bar are ground-floor. It may be just the times that we visited, but there was a sharper, more caffeinated vibe here than the top floor bar. Maybe it’s the competition for the pool beds. Even in the middle of the day, the music is pumping though not so loud that it wakes the dozers. All the comforts of home, while writing home. 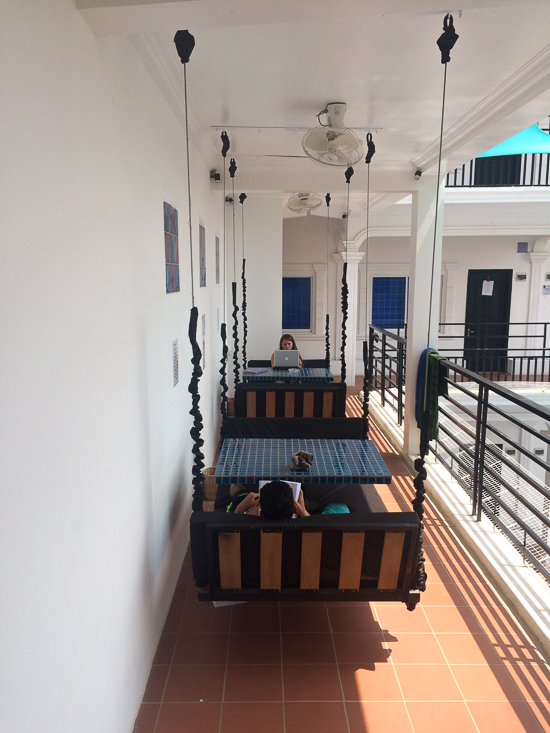 The next floor has a couple of hanging day beds (an idea picked up from one of Siem Reap’s classiest hotels) which make for a relaxed hang-out, day and night. 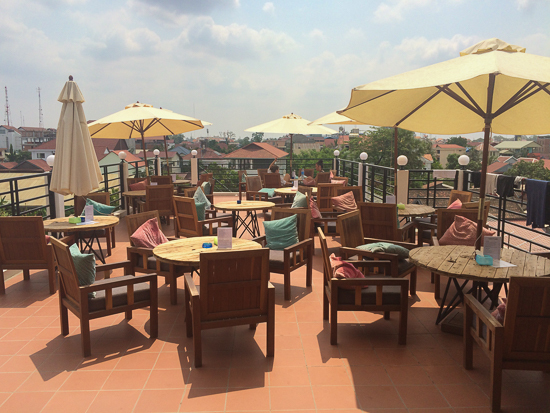 Meanwhile, the rooftop is divided into three sections: one open-air hang-out with tables and parasols, a great spot for catching the sun over lunch or a sunset over cocktails, a big rounded bar, and a covered section with big, soft, white cushions which someone always seems to be asleep upon. The feeling up here is more relaxed than downstairs by the pool. Shoot the breeze, catch a breeze, life’s a breeze. It’s all up here. The full-service restaurant—also open 24 hours—offers up a huge menu of Western and Khmer food. There’s everything there from salads, sandwiches, burgers, pasta, snacks and good home-cooked food, as well as local favourites like amok and grilled aubergine with stir-fried pork (a must if you haven’t had it before). They make big claims about their Sunday lunches and big breakfasts, which seem to stand up to scrutiny judging by the reports we’re getting. Our weekday lunch visit was rewarded with a generous plate of solid mash and hearty Toulouse sausages with a (slightly too salty) rich onion gravy. If you’re looking for $1 pot noodles, head down the road. The parties at Funky Flashpacker have become a hit across town, attracting young travellers and expats alike. Great drinks deals, pumping music, special events and guests, and the chance to meet all kinds of fun folk will no doubt ensure their continued success. 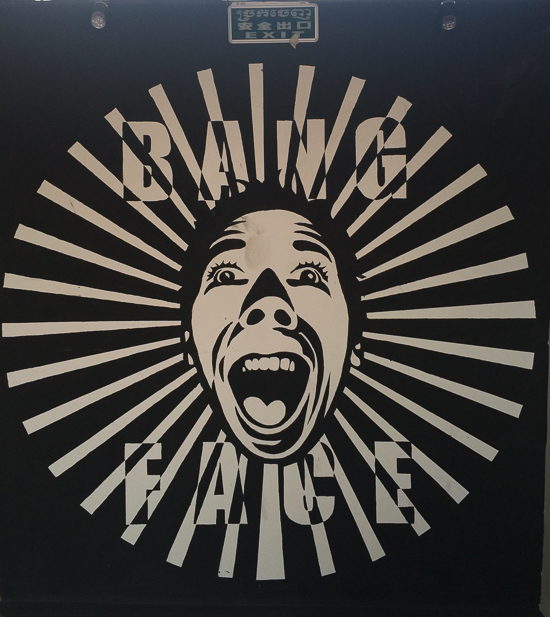 Get your bang face on, it’s party time. There are a multitude of room prices, and various discounts depending on day of the week and time of year. Check their own booking page for the latest. Prices quoted below are just a selection, and the full rate before any discount. Travellers under age 18 are not accepted. And heed their website warning: They like to turn the music up loud. Check rates at Funky Flashpacker on Booking.com.